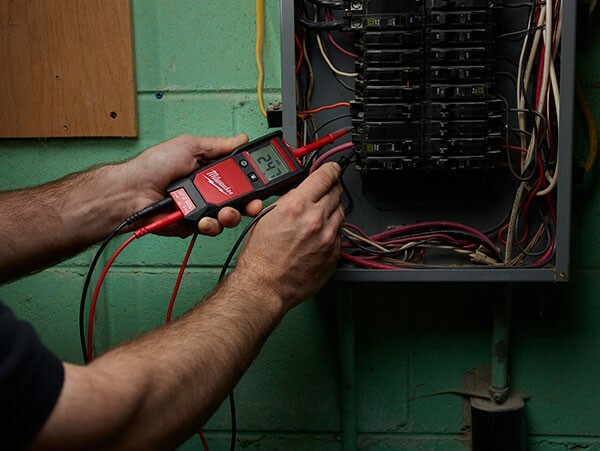 "With advanced features for this category, the Milwaukee Auto Voltage/Continuity Testers provide maximum value for any Apprentice or Journeymen Electrician looking for the most accurate and simple way to quickly test outlets, switches, and breaker panels." says Corey Dickert, Director of Marketing, Product Management for Milwaukee Tool. Milwaukee has actually come out with two models, the (2212-20) Auto Voltage/Continuity Tester, and the (2213-20) Auto Voltage/Continuity Tester w/ Resistance. Both models can automatically determine whether to test for voltage or continuity, and also identify AC or DC voltage. The 2213-20 has a switch that can be used to check resistance up to 20kΩ. In case you find yourself working in the dark, both units come with backlit displays, and offer either audible or visible alerts. If that wasn't enough, they also feature a built-in LED Worklight. Look for both models to hit store shelves this August.